Through 18 knowledge centres in Bolivia, Ghana, Indonesia, Peru, Senegal and Tanzania, EQWIP HUBs offers entrepreneurship and employment training so that young people, especially women, can come together to gain market-relevant skills and learn from mentors. Our youth focused collaborative and tech-friendly approach is unique. By working in partnership with global peers – we can create a better future for all. Together, we’re on a mission to change the lives of 100,000 youth by 2020. We are looking for someone who is highly-structured, process focused, customer oriented, responsive and flexible. The position strengthens the project’s capacity to respond efficiently and effectively to volunteer recruitment and placement. 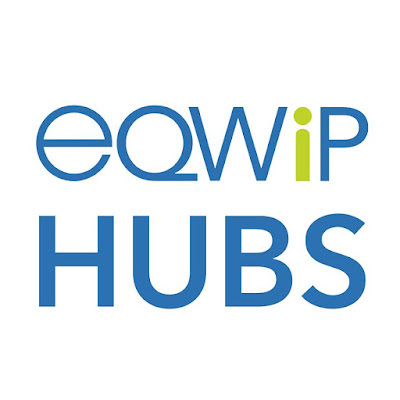 Reporting to the Project Director, based in Ottawa, the Talent Acquisition Team Leader will act as the interface between the external and internal operation of the team responsible for sourcing, screening, interviewing, assessing, selecting and orientation of young Canadian professional volunteers in order to meet the diverse professional requirements of the EQWIP HUBS project. Working closely with the Finance & Administration team, the position assures the accurate financial recording and reconciliation on volunteer fundraising, contributed services, travel and volunteer tracking. Working closely with the Communications Team, the Team Leader collaborates on marketing and communications processes. Working closely with the Talent Acquisition team and Program team, the position provides leadership, under the direction of the Project Director, to volunteer orientation, pre-departure briefing and community engagement including other related activities. Working with Finance & Administration, Communications and Programs (as required) the position provides timely recommendations on business processes re-tooling and implements required changes in a timely and efficient manner with minimum business disruption. Deadline to apply: Tuesday October 17th, 2017 at 5pm EST. Applications will be considered upon submission. Please submit your cover letter and CV as a one document Word or PDF e-mail attachment to hr@eqwiphubs.org with “Talent Acquisition Team Lead” in the subject line. Applications will not be considered beyond the deadline.